What is a Christmas cookie? Is this a trick question? Perhaps. 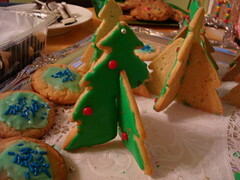 On the one hand, you may think that a Christmas cookie is one that you make (and eat) around Christmastime. But is that all there is to it? Because certainly Christmas cookies aren't just a result of everyday recipes dressed up with red and green sprinkles or dye, are they? 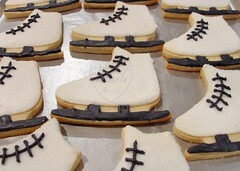 It seems to us that certain cookies, while available at other times of year, proliferate around the holiday season--spritz cookies, gingerbread, cutout sugar cookies, for instance. 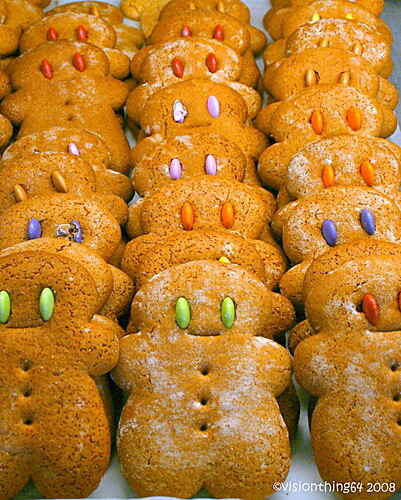 In addition, how is it that nearly every family has a unique collection of cookies--ranging from bonbons to melt-in-your-mouth meringues to Rum balls--that only come out around the holidays? Ancient cooks prepared sweet baked goods to mark significant occasions. Many of these recipes and ingredients (cinnamon, ginger, black pepper, almonds, dried fruits etc.) were introduced to Europe in the Middle Ages. They were highly prized and quickly incorporated into European baked goods. 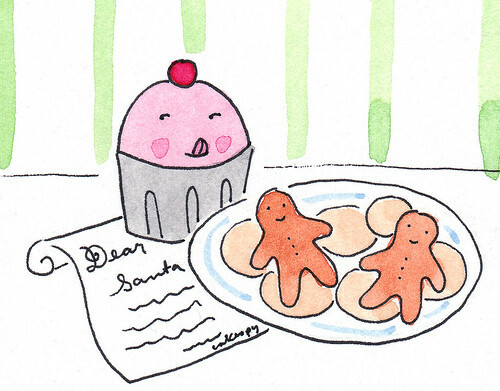 Christmas cookies, as we know them today, trace their roots to these Medieval European recipes. 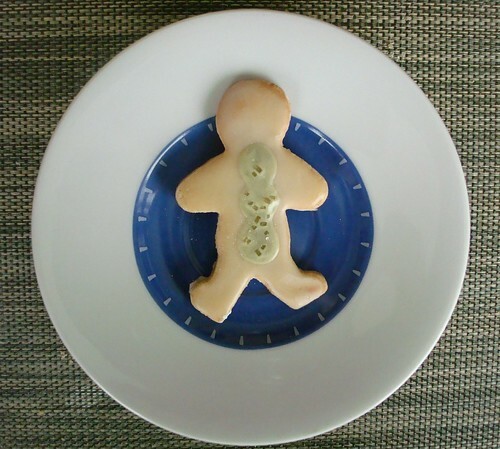 Dutch and German settlers introduced cookie cutters, decorative molds, and festive holiday decorations to America. 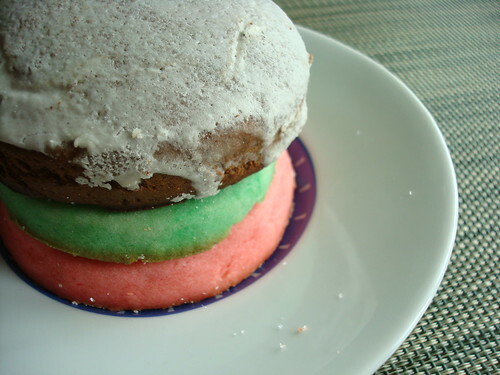 German lebkuchen (gingerbread) was probably the first cake/cookie traditionally associated with Christmas. Naturally, cookies lend themselves very nicely to cookie cutters, which we would surmise is one reason why they tended to stick around as a Christmas tradition--not to mention that they have a long shelf life, travel well, and are made in larger batches that imply bounty (that is to say, even though 24 cookies and one cake may have the same surface mass, the number of items can fool us into feeling as if there is more to share). 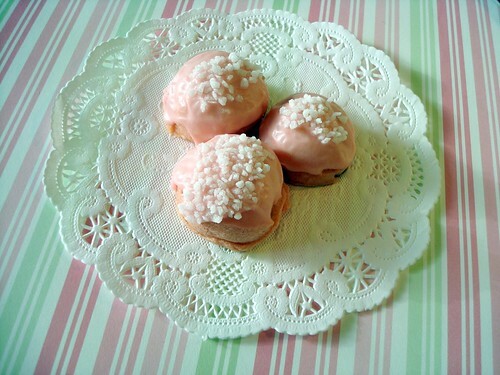 Of course, the article goes on to state that sugar cookie type recipes descended from English traditions; perhaps their trip over the Atlantic was the inspiration for Animal Crackers, which were originally designed as Christmas ornaments. While the tradition of Christmas cookies may have its roots in Medieval Europe, and while we may associate some cookies with the holidays more than others, it's also true that Christmas cookie recipes today come from all over the world--it would not be unusual to see German Lebkuchen, Scottish Shortbread, Italian Pizzelles and all-American Cornflake wreaths sharing the same plate. Why so? Well, we surmise that it's an illustration of evolution--as people immigrated and adapted, naturally they would want to honor their culture's recipes with the Christmas cookie tradition. While this may blur the boundaries of what is a Christmas cookie and what is just a cookie, it certainly does make the variety and joy of discovery at holiday parties a whole lot more fun. And of course, it makes us all better able to add a few more recipes to our arsenal--as well as experiment--each year, sometimes with delicious results. 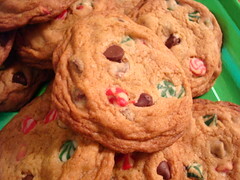 But what of the US tradition of leaving cookies for Santa, you may be asking? Well, to us, that one's easy--clearly, Santa (whoever he or she is) wants a midnight snack. Duh. 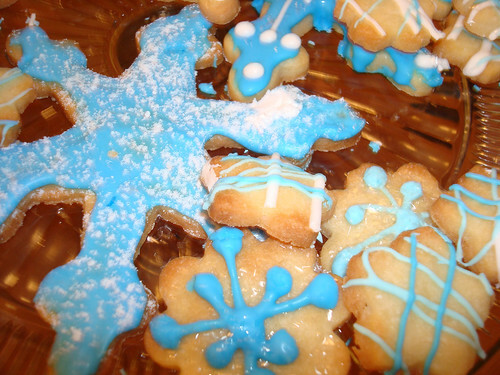 For more information about Christmas cookies in history, visit The Food Timeline.